An iconic polished sterling silver cross among a bevy of howlite beads shows your commitment both to high style and a higher power. The Devotion Stretch Bracelet creates a beautiful contrast against a coral sundress and strappy wedge sandals. 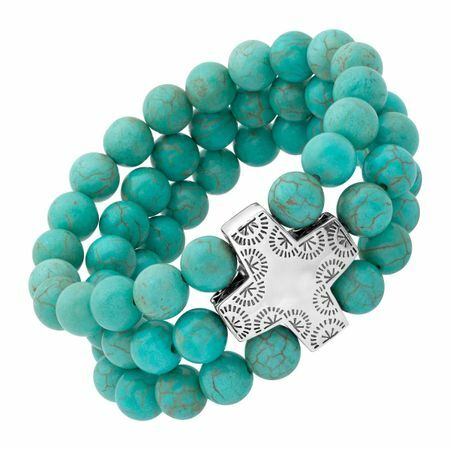 Better yet, combine it with other howlite accessories for a look that's super summery and oh-so-Silpada. Bracelet measures 7 by 1 inches and features an easy slip-on design. Piece comes with a “.925” sterling silver stamp as a symbol of guaranteed product quality.